The PureMix Z7 system is designed specifically for applications with higher sediment and harsher water quality such as rural supplies, areas with older pipe infrastructure and rainwater. 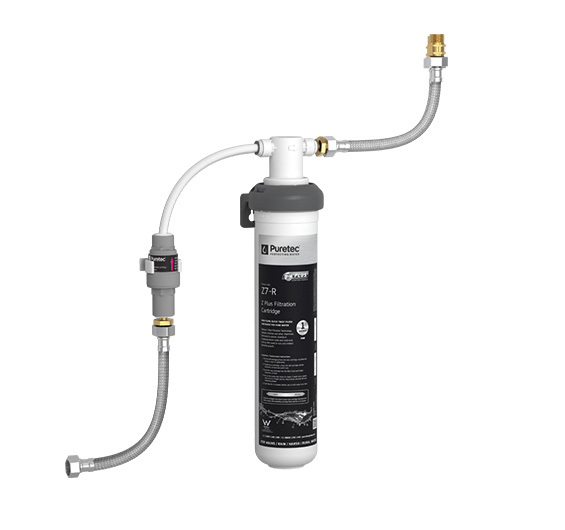 With 3 levels of filtration, the PureMix Z7 filters out sediment, rust and dirt down to 1 micron. Bad taste, odour, chlorine and other chemicals leaving healthy, great tasting, clean, safe and pure water. 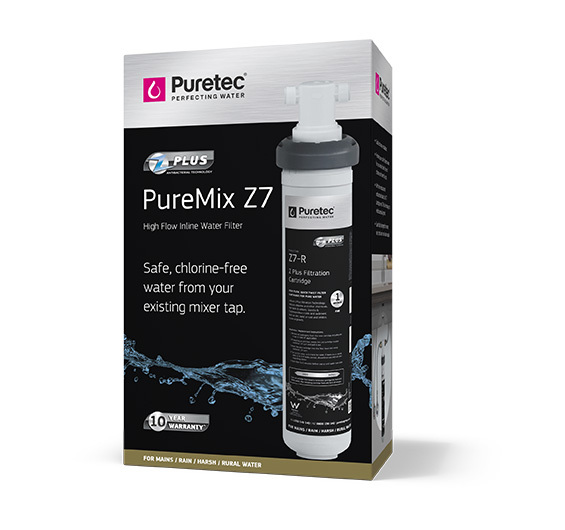 Puretec provides a complete kit for standard installation and has introduced valve-in-filter head technology, which means the cartridge can be quickly and easily changed without having to turn off the water supply. The Puretec PureMix Z7 quick-change cartridge can be easily replaced - just like changing a light globe. It also incorporates Puretec’s long life filter technology, so you can go longer between filter replacements, and comes with our ^10 Year Platinum Protection Warranty. 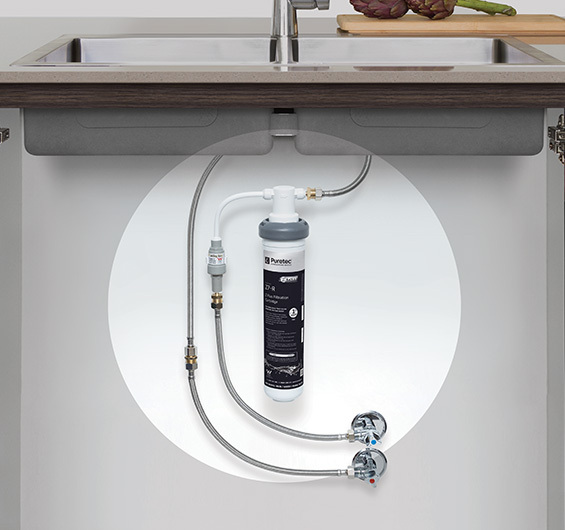 The PureMix Z7 installs under your existing kitchen bench and uses your current tap. This unit can be installed vertically or horizontally, so it won’t clutter up your cupboard. • Specifically designed for mains, rain, harsh and rural water supply. • Increased capacity to a massive 60,560 Litres. • With the introduction of Z Plus Technology, this Z7 cartridge has the ability to inhibit bacterial growth. • Provides pure, safe, filtered water, free of chlorine and harmful cysts+. • Sediment, dirt, rust and other particles filtered down to 1 micron including Giardia and Cryptosporidium cysts+. + Please note, this product may not be suitable if you have concerns about bacteria such as E. coli in your water. Contact us for a solution.